The Caribbean is famous for its collection of small islands, warm climate, wonderful hotel resorts, and amazing beaches. The atmosphere created by in the Caribbean is ideal for those looking to get married, honeymooners, or just couples looking to get away. While the Caribbean may appeal to those looking for romance, it is also a great area to vacation with your family. As with any other area of the world, selecting a Caribbean vacation destination can be a difficult task. In the Caribbean there are so many vacation destinations to choose from and they are all similar, in one way or another. If you experience difficulty narrowing your search down to just one destination, you are encouraged to review some of the most popular vacation destinations in the Caribbean. Below is an overview of five popular Caribbean destinations that attract beach-goers from all around the world. The Turks & Caicos Island is located in Atlantic Ocean. The two islands are not far from the Bahamas. These Caribbean islands are most noted for their beautiful beaches and underwater adventures. The ocean water, near the Turks & Caicos Island, is home to large coral reefs. These reefs bring in tourists from all around the world. Aside from traditional beach activities, you can enjoy fishing, diving, and snorkeling. St. John is located in Virgin Islands in the Caribbean. Many claim that the St. John beaches are the best in all of the Caribbean. St. John visitors are encouraged to visit Trunk Bay. Trunk Bay is owned and protected by the United States National Park Service. Aside from traditional beachfront activities, Trunk Bay is well known for their snorkeling tours. Trained, underwater guides and markers make the Trunk Bay snorkeling adventure one of the best in the world. Canouan Island is located in the Grenadines, which can also be found in the Caribbean. Canouan Island comes highly recommend from beach lovers. Beach activities include wind surfing, snorkeling, scuba diving, and sailing. Canouan Island is most well known for its private and intimate settings. While many beaches in and around the Caribbean fill up each year with tourist, Canouan Island is still relatively undiscovered. The tagline for Jamaica is “no wonder hearts beat faster in Jamaica.” This tourist slogan is accurate in more ways than one. Jamaica is home to wonderful beaches, including Seven Mile Beach. While Jamaica has a number of beach resorts that are so beautiful it is often hard to describe, they are most well-known for their music and fun offshore activities. Vacationers visiting Jamaica will not leave the island unsatisfied. The Cayman Islands is another popular summer vacation destination in the Caribbean. All three islands, Grand Cayman, Little Cayman, and Cayman Brac are home to a number of popular beaches, the most popular Being Seven Mile Beach. Seven Mile Beach is located on the Grand Cayman Island. All three islands offer numerous on and offshore activities. With Seven Mile Beach being one of the most well-known beaches in the Caribbean, it is often packed with travelers. 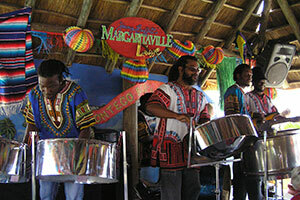 Vacationers looking for more intimate settings in the Cayman Islands often vacation at one of the two smaller islands. Of course, you could always visit all three if you wish to. Millions of tourists flock the Caribbean for their summer vacations. If you have yet to visit the Caribbean area, you are encouraged to get down there and see what you have been missing. Whether you choose to vacation at one of the above mentioned Caribbean destinations or you select another, you are sure to have a vacation that will be impossible to forget.